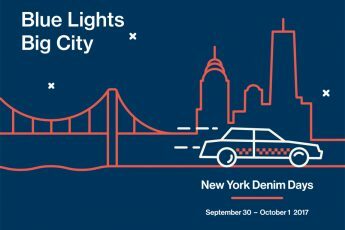 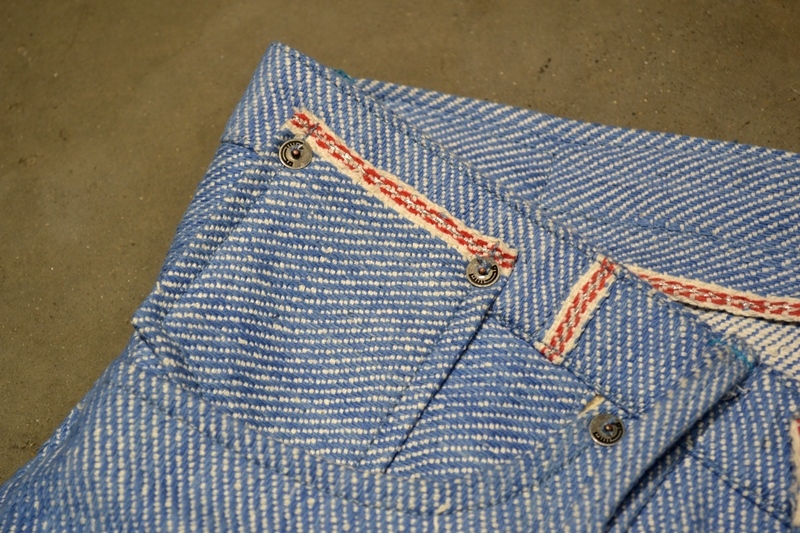 Since last week the denim industry has a new denim mill. 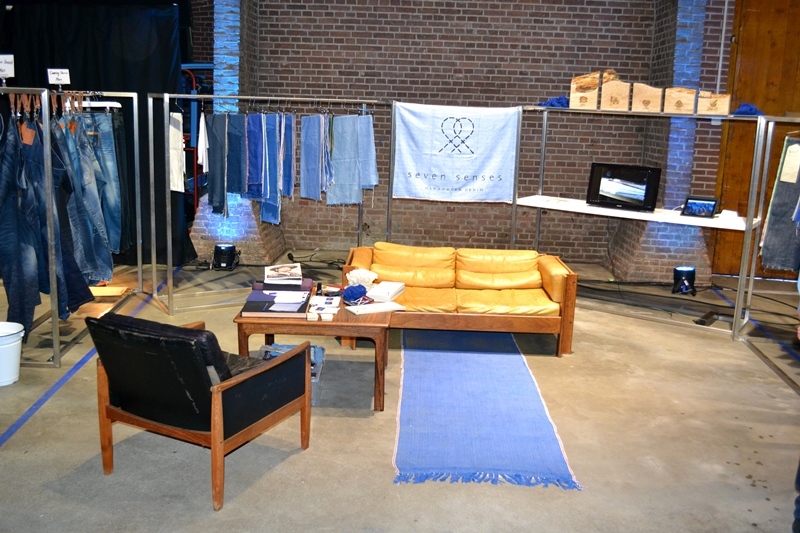 The official kick-off from this new handmade selvage denim fabric took place at the Kingpins fair in Amsterdam. 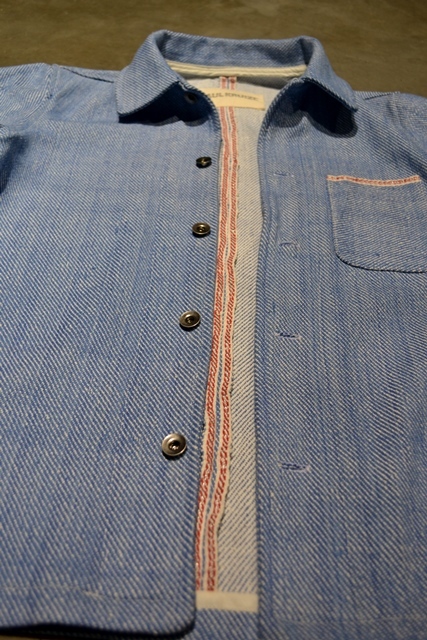 The fabric is totally made by hand, handspun and handwoven, which is pretty rare. 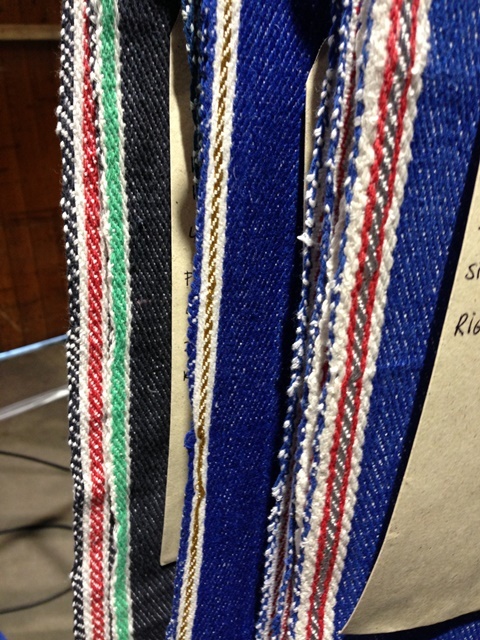 I am very exited about this new fabric as I work as a consultant for them. 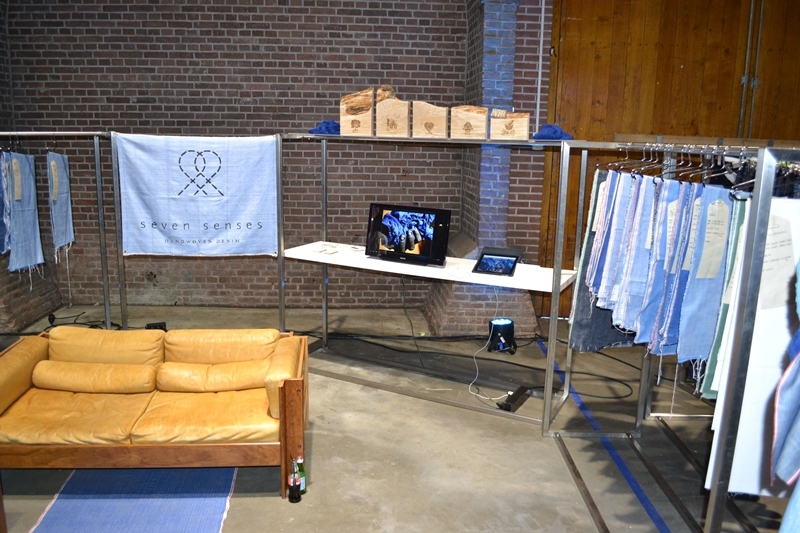 The Kingpins fair was the moment that all the buyers, designers and media saw this unique and traditional made fabric for the very first time. 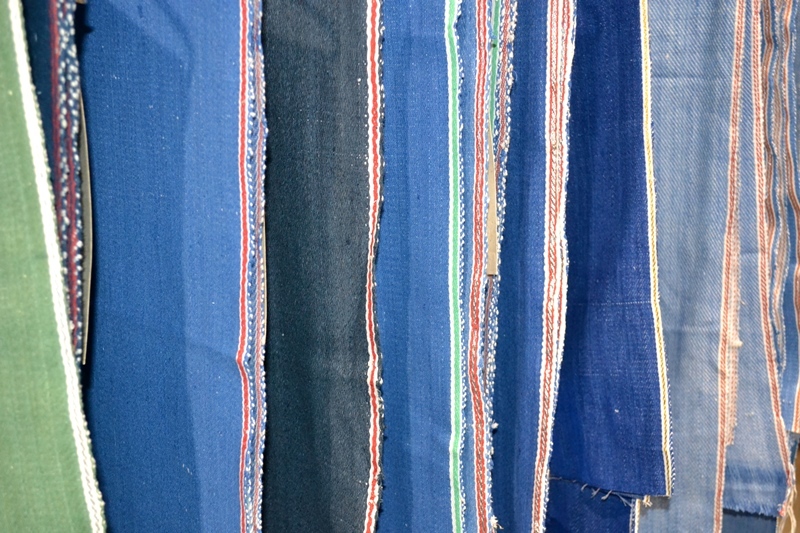 The fabrics are all made by hand in India. 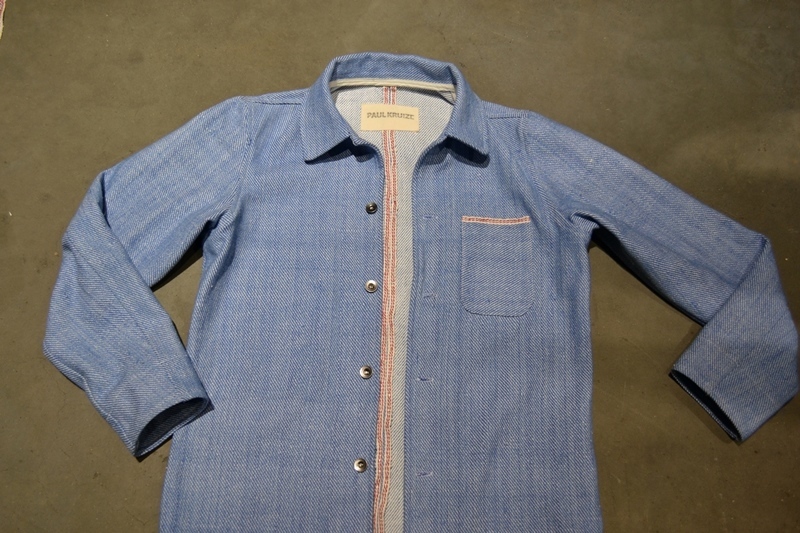 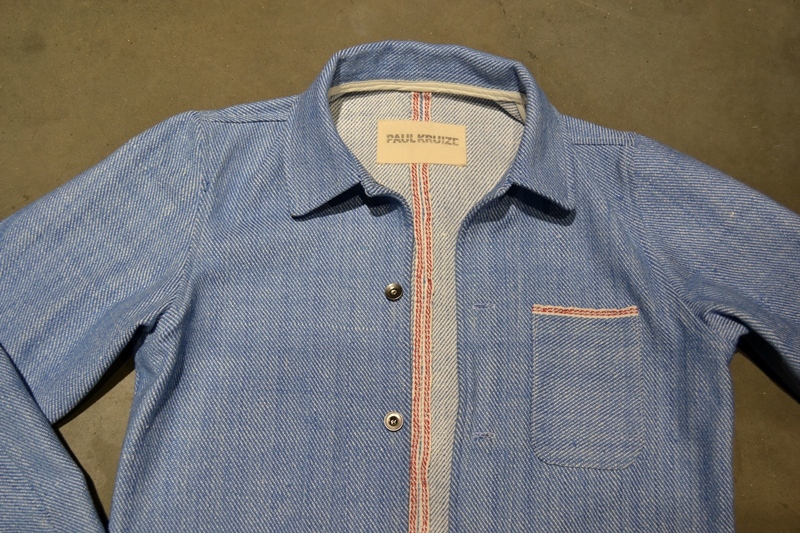 The threads are dyed with natural indigo and woven on old authentic wooden shuttle looms. 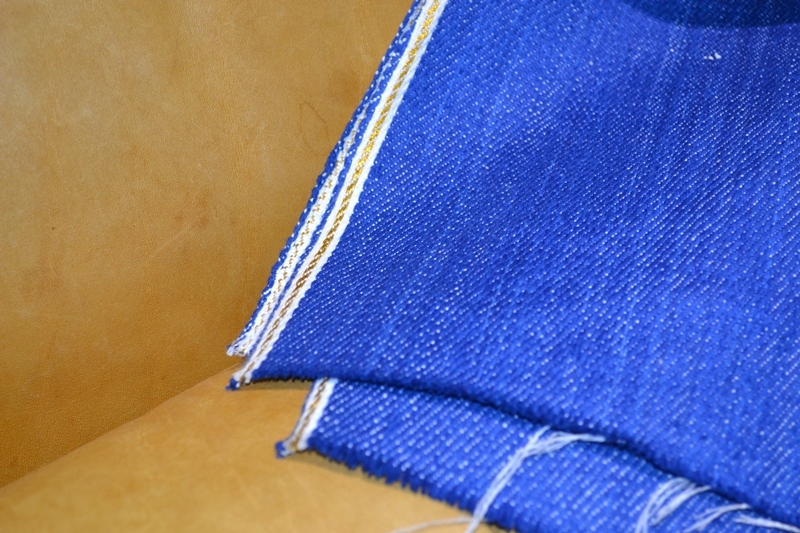 The result is the best of the best with beautiful indigo colours. 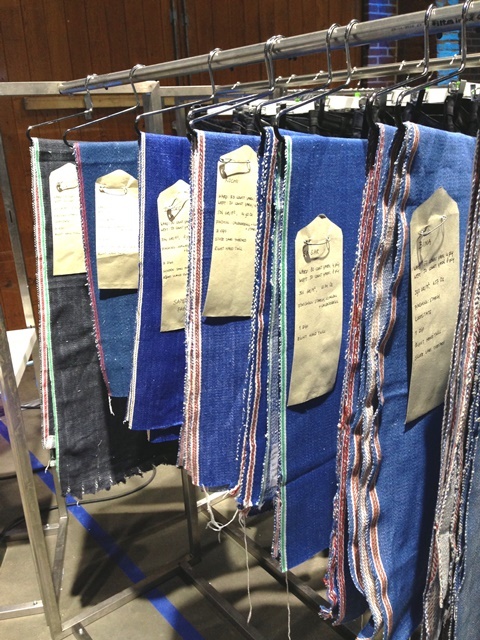 True heaven for every denimhead. 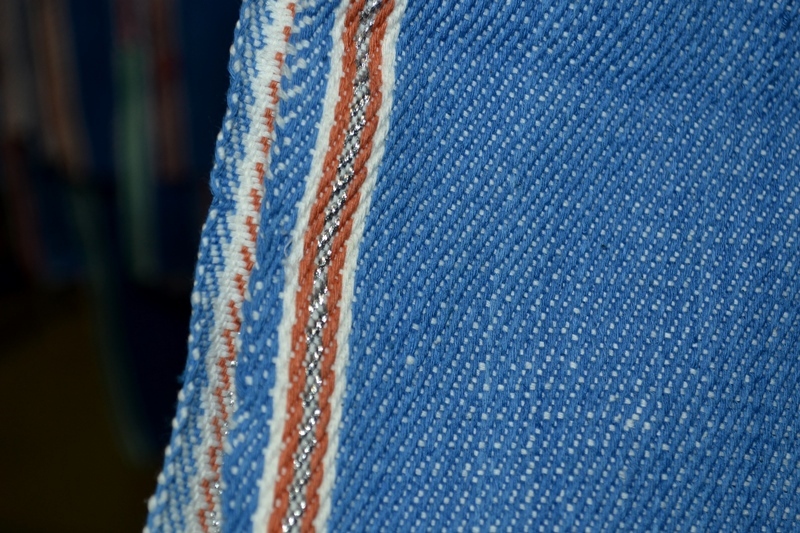 One of the best parts is that the selvage is made with real silver and gold which come from old Indian sarees. 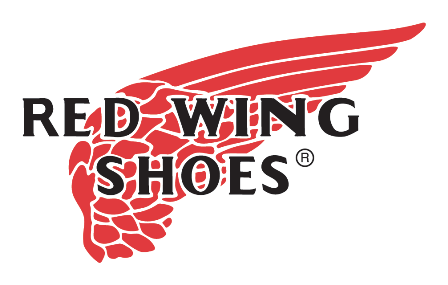 The kick-off was a huge success! 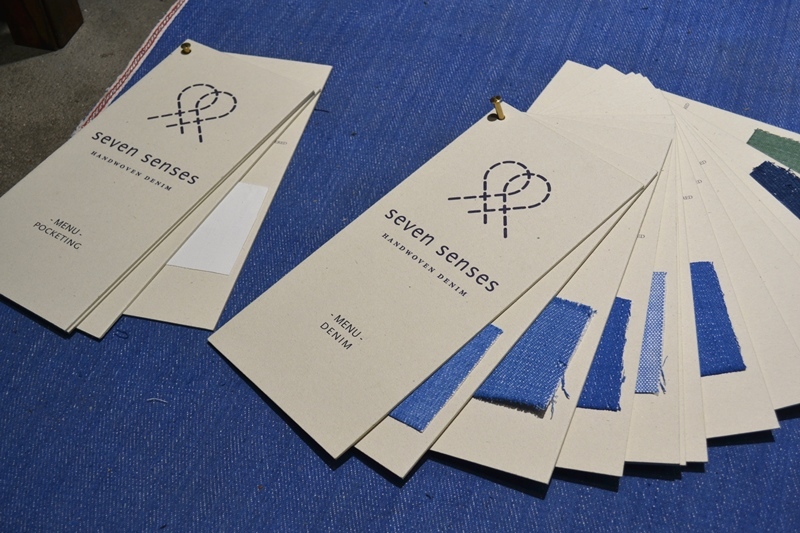 The first Seven Senses collections contains are variety of several different shades of blue. 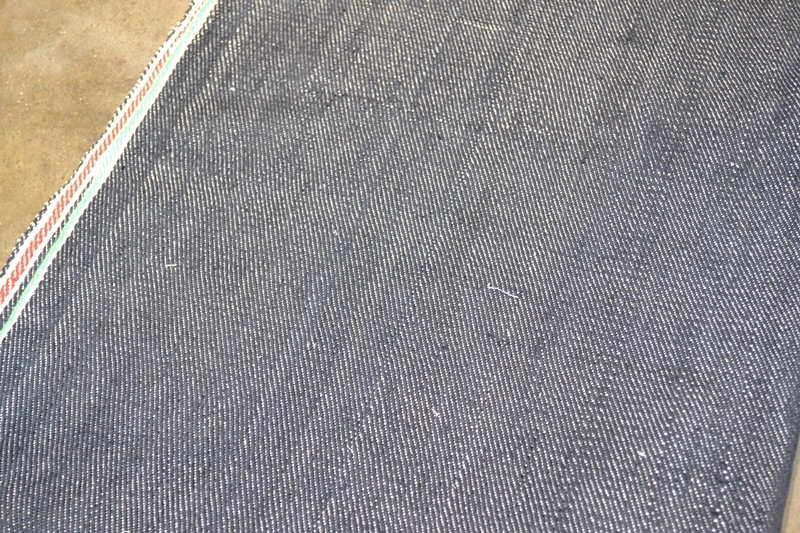 Even a green fabric was added to the collection. 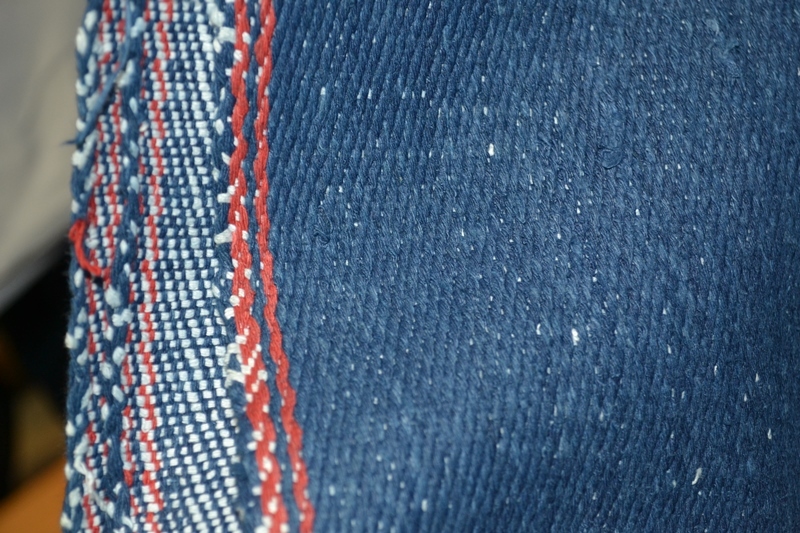 The different types of blue depends how often the threads got in contact with the indigo. 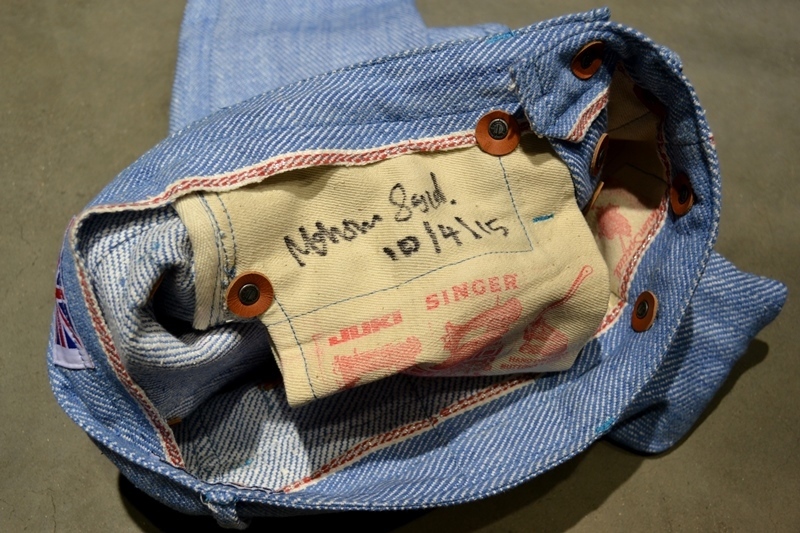 To promote the fabrics on a right way we asked two successful denim designers to make a piece of the first light coloured fabric. 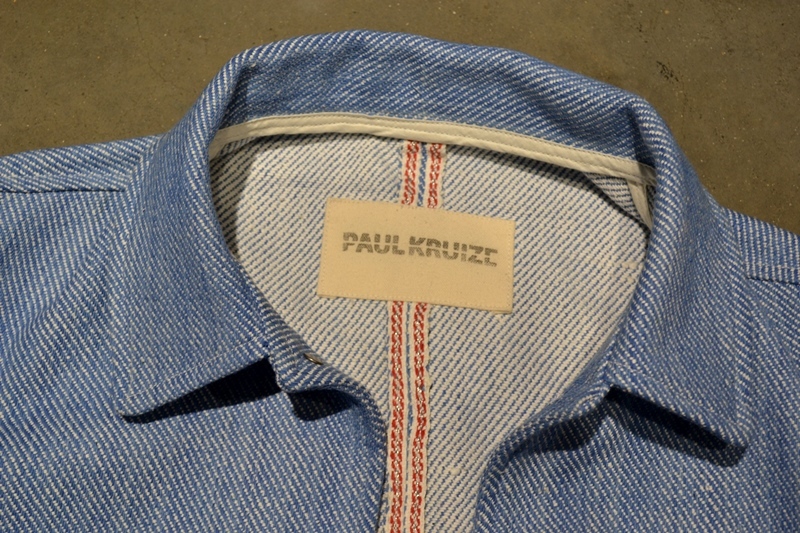 The collaborated designers are Paul Kruize (Paul Kruize Jeans) from Holland and Mohsin Sajid (Endrime) from the UK. 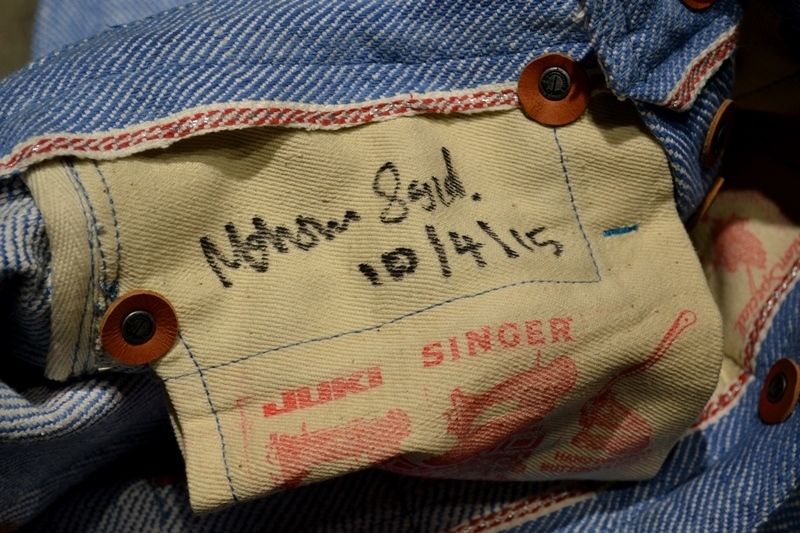 Paul made a great jacket and Mohsin an amazing pair of jeans. 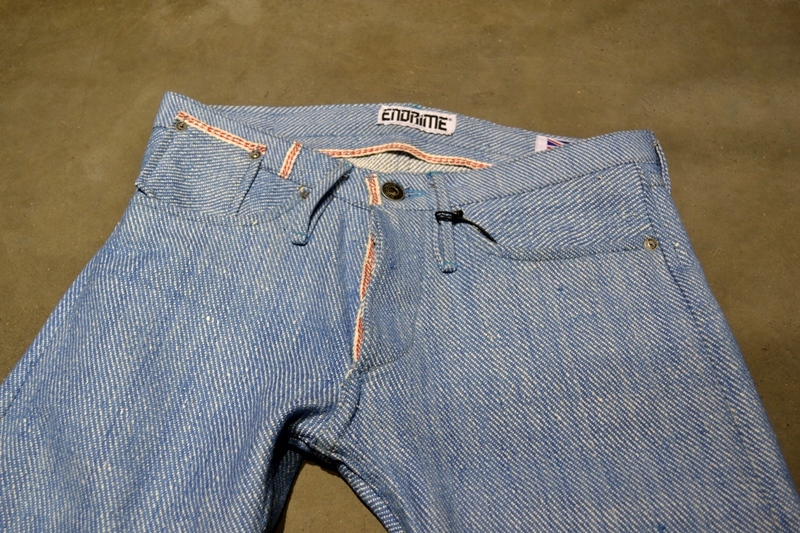 Both made of heavy woven fabric which is uncommon in the denim industry. 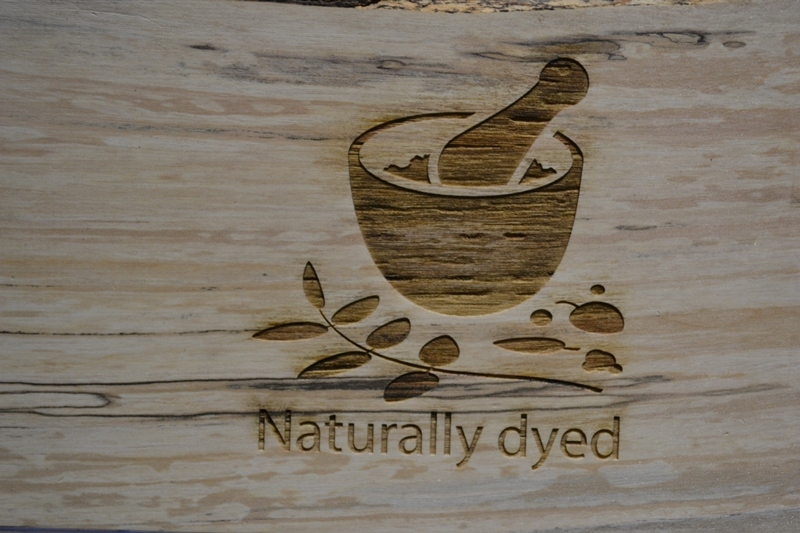 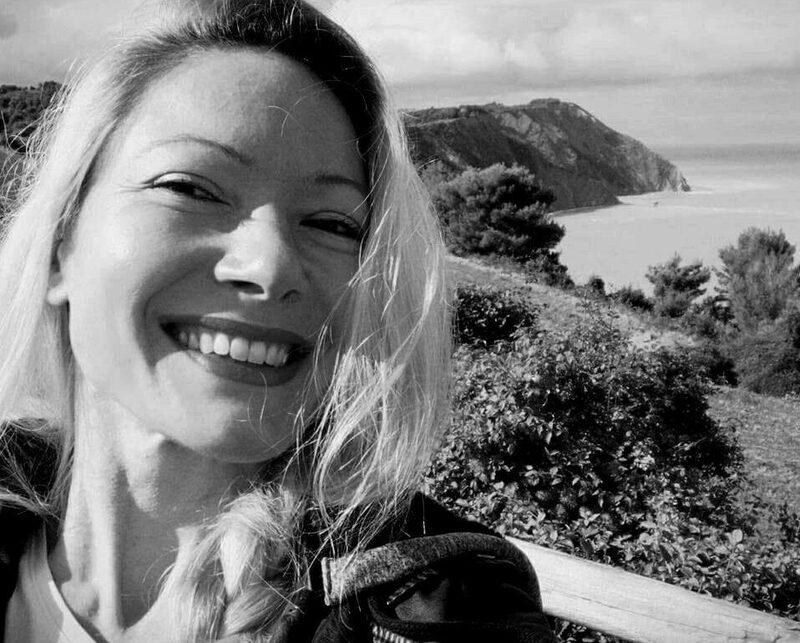 The result shows something new and fresh. 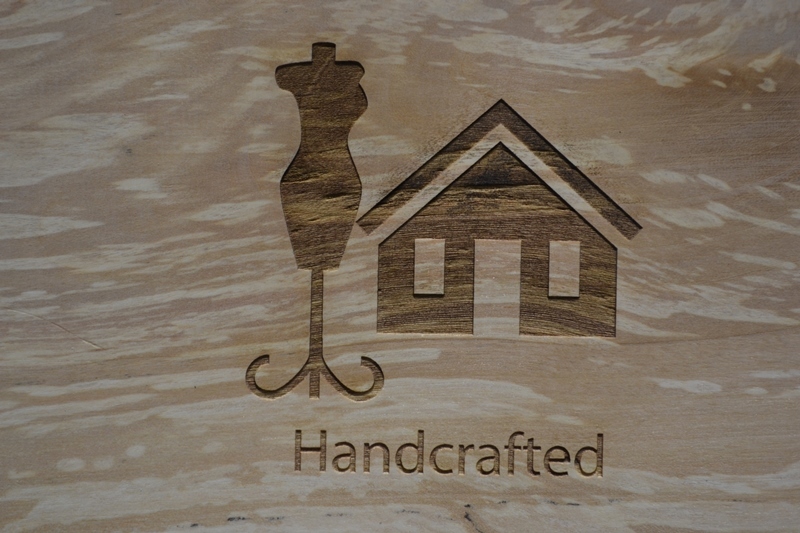 Below the booth from Seven Senses at the Kingspins fair and the two promotional items. 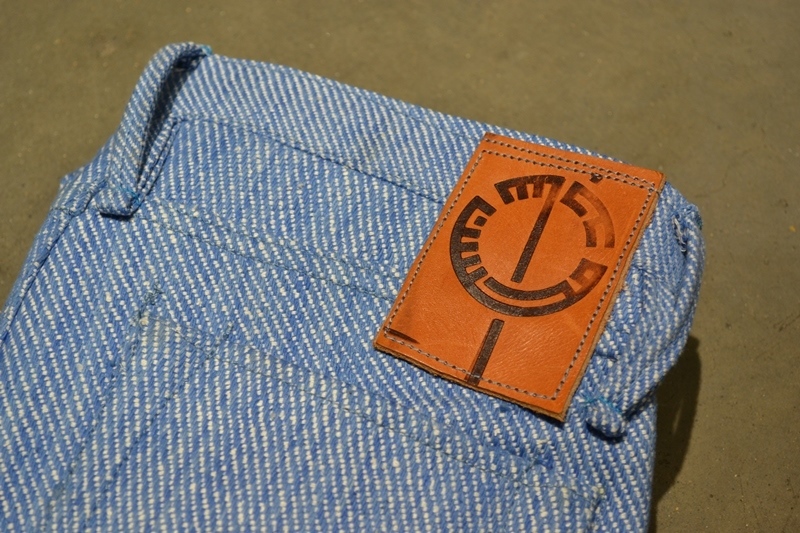 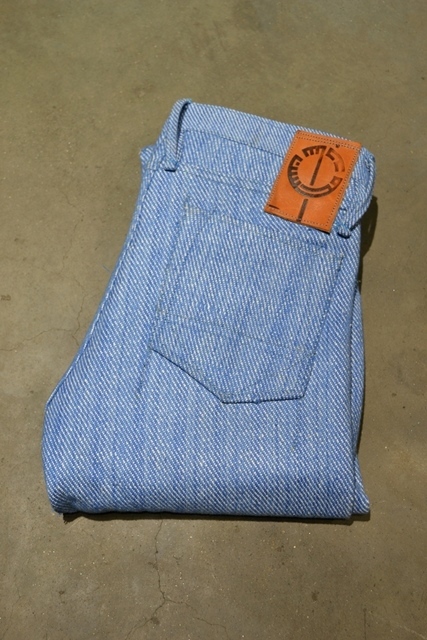 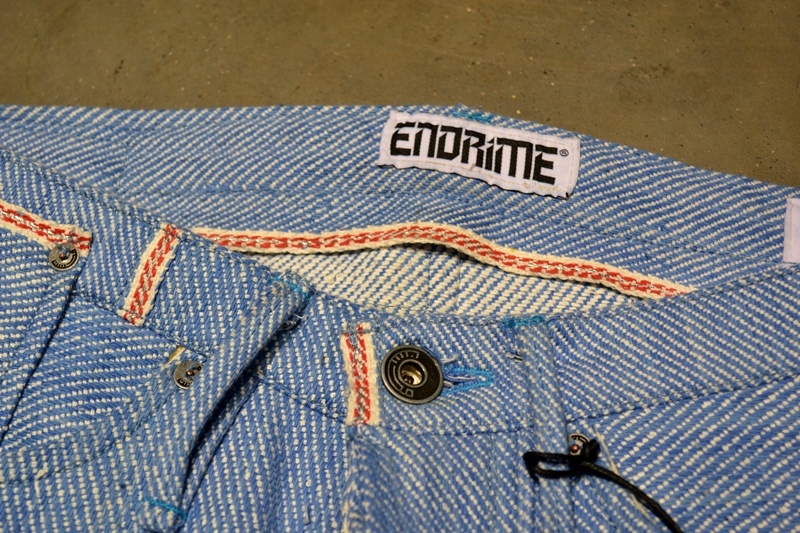 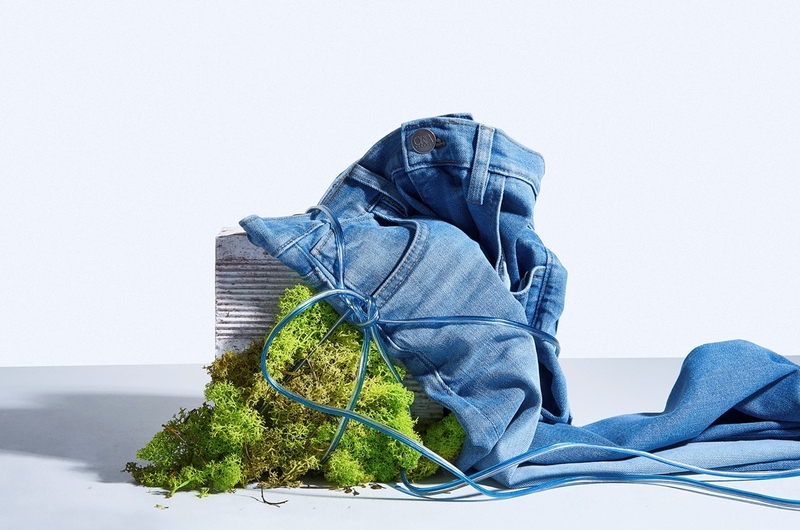 Keep an eye on this revolutionary denim fabric! 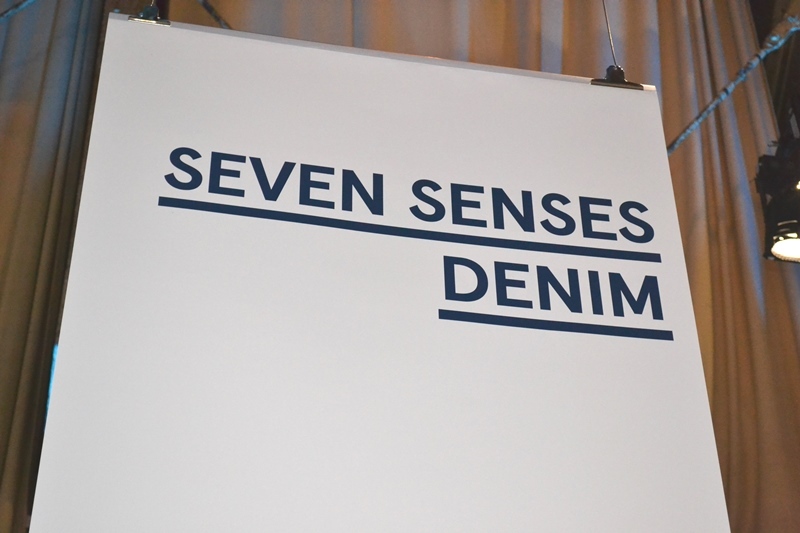 Congrats with the launch Seven Senses crew! 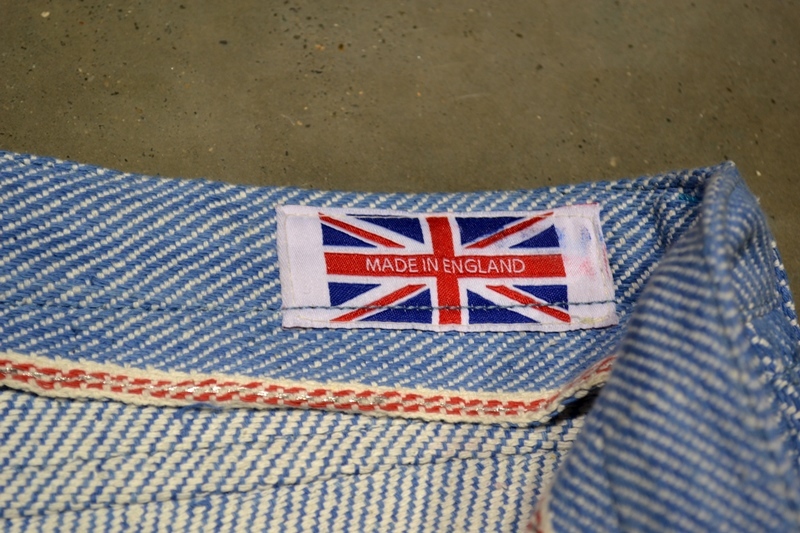 Any chance products made from this fabric will make it over the Atlantic? 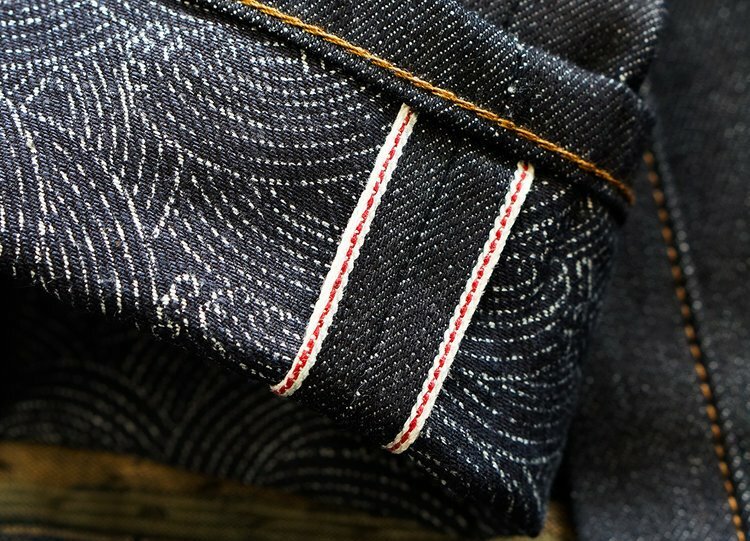 So many products highlighted on this site that aren’t available in the US. 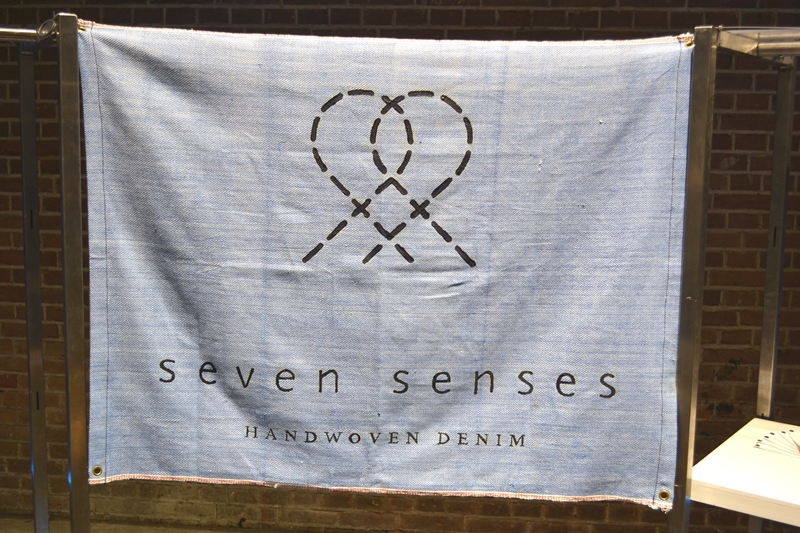 Best to do is to send Seven Senses an email to check it out.